What Was the First Permanent Settlement in the U.S.? The United States (U.S) has a long and diverse history and has been settled by many different groups both before and since gaining independence. 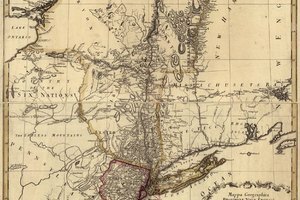 Because the U.S. was already settled when it came into existence during the American Revolution, the question of what the first settlement in America was is a complex one. Several modern towns claim to be the oldest or earliest. The facts depend on how the terms "U.S. settlement" and "first" are defined. The ancestors of Native Americans first crossed into North America at least 13,000 years ago. 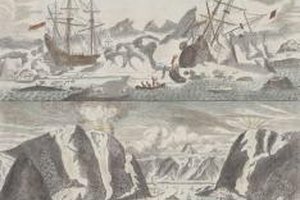 Passage was possibly through Alaska before arriving in what are now the contiguous forty-eight states. Although these early colonists were hunter-gatherers who may not have had permanent settlements, later generations of Native Americans did settle into villages, towns, and even cities long before the arrival of European explorers. It's hard to know what the first settlement in America was but the largest one in what is now the U.S. was the city of Cahokia. 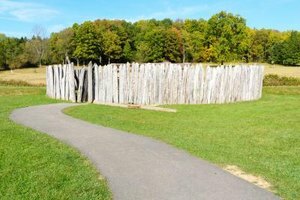 Located on the Mississippi River in what is now Illinois, Cahokia was founded around the year 700 and reached its peak in the 11th and 12th centuries. With a population of 10,000 to 20,000, it was around the same size as London and Paris at that time. Cahokia was abandoned before the arrival of Europeans in America but some other Native American settlements have survived until today. The Acoma Pueblo, an adobe village in New Mexico, is sometimes said to be the oldest continuously inhabited town in North America. It is believed that Acoma as the oldest city in America was first settled at least 1,200 years ago around the 9th century. Its location atop a desert mesa has helped protect it over the centuries. Today the village has a permanent population of only about 20, but the Acoma people who leave nearby and in other places total about 6,000. The history of the U.S. as a country is of course tied to the arrival of European explorers and colonists in the Americas. Although Vikings from Scandinavia are known to have landed in North America centuries before Christopher Columbus did, their only known settlement was in what is now Canada. Columbus himself never set foot in what later became the fifty states. 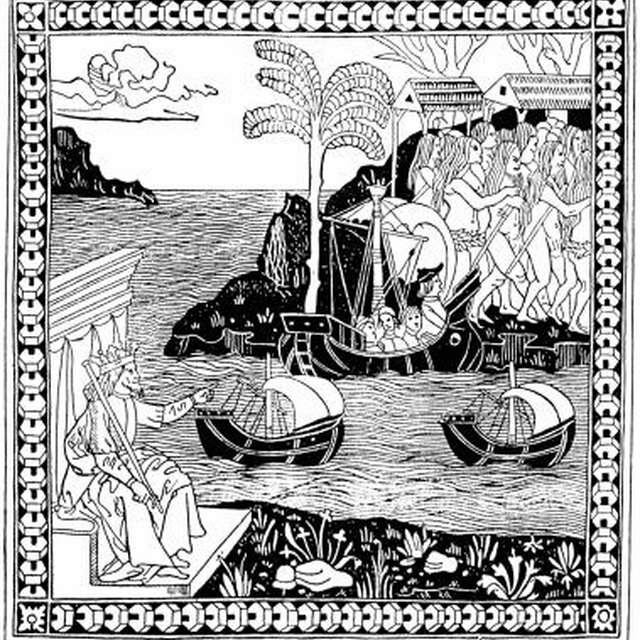 His arrival did mark the beginning of Spanish colonization in the New World. The oldest continuously occupied European settlement in the continental U.S. is St. Augustine, Florida which was founded in 1565 as a Spanish military base. 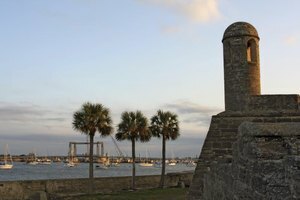 But although they are now located in the U.S., St. Augustine and the rest of Florida were not actually part of the country during the American Revolution. Instead they were bought from Spain several decades later in 1821. Since colonial America was formed from 13 British colonies in North America, the first English settlements might be considered the earliest U.S. towns. The very first English settlement in what is now the U.S. was the Roanoke Island colony in North Carolina, which was founded in 1587. However, when the colony's governor left for supplies and returned three years later, he found the settlement mysteriously deserted, and its ultimate fate is still not known today. The earliest long-term English settlement was Jamestown, Virginia which was founded by Capt. John Smith in 1607. The settlement survived for almost 100 years before eventually being abandoned. Meanwhile, the title of oldest continuously inhabited English-speaking city in colonial America is claimed by Hampton, Virginia. 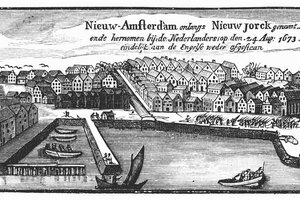 It was founded in 1610 and still exists as a populated city today. Centanni, Evan. "What Was the First Settlement in the U.S.?" Synonym, https://classroom.synonym.com/first-settlement-us-10021.html. 03 August 2018.